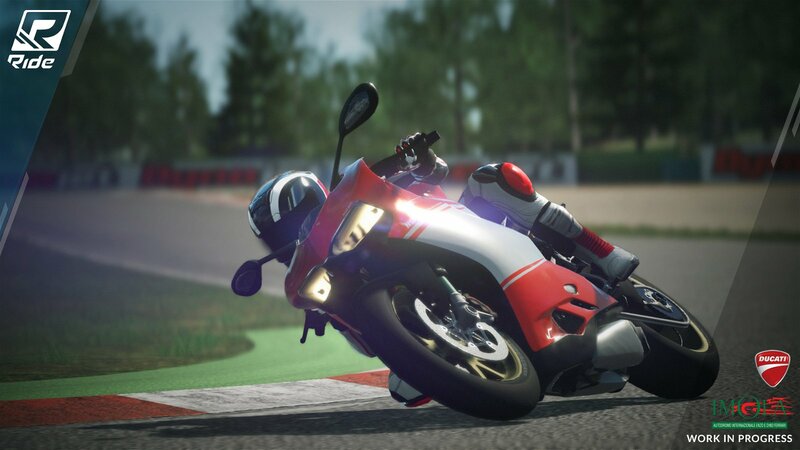 With the immense popularity of car racing simulation games over the past few generations, it’s surprising that there hasn’t been a mainstay franchise for motorcycles. Yea, there have been games in the past, but nothing really stuck, so it’s safe to say there’s a niche for gear heads around the world. I assume this is the void Milestone Studios wanted to fill with Ride. 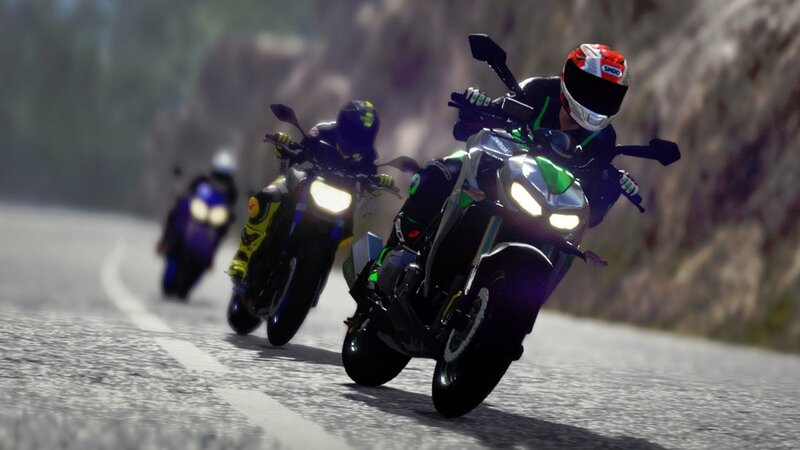 But with a lack of true customization, and a more arcade style of gameplay, this new property feels like it wants to be a Forza for bikes, but falls just short. Instead, we’re left with a fun game that doesn’t leave a lasting impression. I’m not going to lie, I don’t own a motorcycle and I can’t say I watch much racing. I’ll catch the occasional race here and there, but I’m not a hard-core fan. With that being said, I was pretty excited to give this game a whirl. Driving sims have always captivated me. Graphically, they’re usually the prettiest console games, and the detail in customization is rewarding. Unfortunately, Ride doesn’t offer that. The bikes look like they’re made of plastic, and the character models are laughably ugly. In terms of gameplay, it’s sort of a mixed bag. The whole point of the game is to rise through the world ranks. The more you win, the higher you climb. You win credits to spend on other bikes—there are over 100 different models—and upgrades. Eventually you’ll upgrade to different classes and circuits and play with better bikes. The biggest issue I have here is that there is a bit of grinding required. When you purchase a new bike for a new class, it’s underpowered, so you’ll have to replay the same races to build up enough credits to upgrade everything. I noticed my bikes were never quite fast enough if I was going head to head with another rider in a straight strip. There isn’t much customization, anyway, though. Yes, there are upgrades, and you have some minor control over the appearance of your bike and rider, but there is not a lot of available. Even the choice options for the colour of your bike are down to a few pre-determined designs; it was kind of disappointing. Racing sims are built off of tweaking a vehicle to your specific standards; I never felt like I could do that. It makes me feel like this game is going through an identity crisis. It wants to be like Gran Turismo, but it can’t quite make it. So it settles for a middle ground between a realistic sim and an arcade racer. That’s very apparent in terms of gameplay. Lines on the ground direct you around the track and indicate when you should slow down or speed up, and it feels about as real as you can get with a controller. But even when you’re following directions to a tee, there are weird instances where you’ll wipe out for going too slow, or too fast, or because the AI is way too aggressive. There were multiple occasions where one of my fellow racers took me out by the back tire, and somehow didn’t get caught in my bike. Instead, as I went flying through the air, and they rode straight into my now toppled-over vehicle, the bike sort of slid out of the way as the driver moved forward. That kind of thing breaks your immersion, and is needlessly frustrating. I felt like I was playing Mario Kart at times. Regardless of the murderous AI, I still found myself captivated with the entire experience. Hours later, I was still playing, getting better, buying new bikes, and rising through the ranks. It’s really fun. This middle ground that Ride inadvertently found made for a unique experience. It’s simple enough that non-riders can pick it up, and progressively get better within a few hours, but difficult enough that you won’t master the game’s subtleties right away. Ride is a middle ground between arcade fun, and simulation-style detail. Unfortunately, its confusion between the two sides makes it a little awkward to completely get behind. It’s fun, but it’s not engaging, but it’s still a solid title. I’d like to see Milestone take another crack at the genre to refine some of the issues of this title, if this is the first step in filling a much-needed niche. 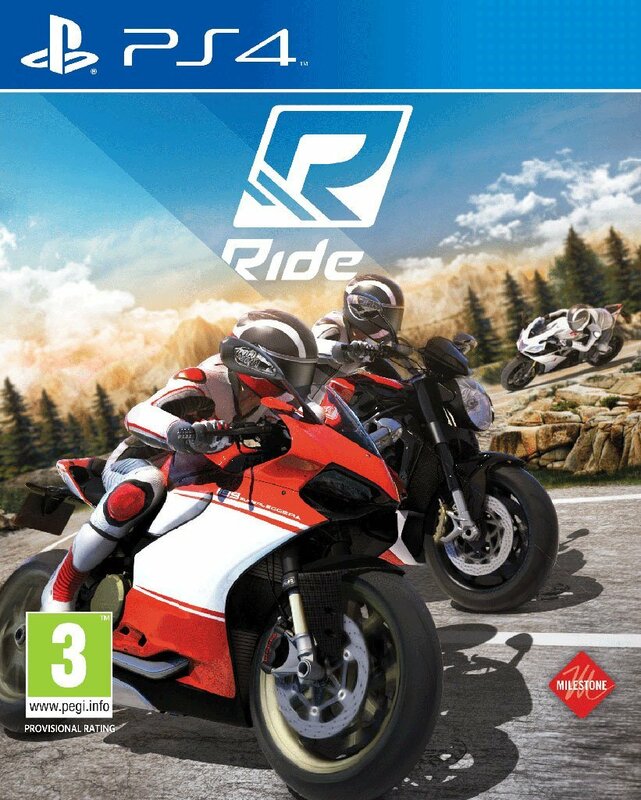 Ride is a middle ground between arcade fun, and simulation-style detail. Unfortunately, its confusion between the two sides makes it a little awkward to completely get behind.